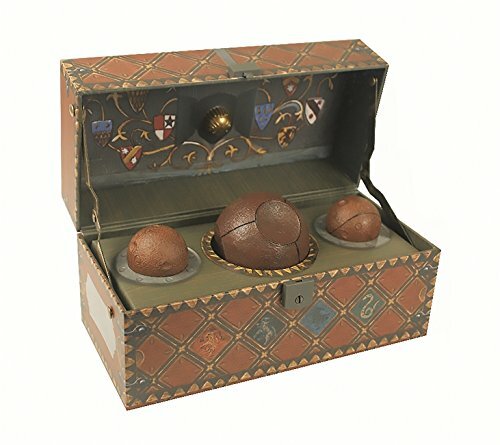 Harry Potter fans: This collectible Quidditch game set is sure to delight. It comes with a locked trunk, poster, a Quaffle, 2 Bludgers, and a Snitch. Dress up your room, dorm, or office decor with this fan favorite collectible set!